Margaret Bowman hadn’t realized her daily weather observations were worthy of recognition until the National Weather Service of Salt Lake City notified her that she had been selected to receive a national award. Bowman and her late husband, Dwain, began recording the temperature and water precipitation from their home in Coalville in 1987 and never missed a day. Rain, snow or sunshine, the Bowmans tracked the weather and submitted their observations for the National Oceanic Atmospheric Administration’s Cooperative Observer Program. 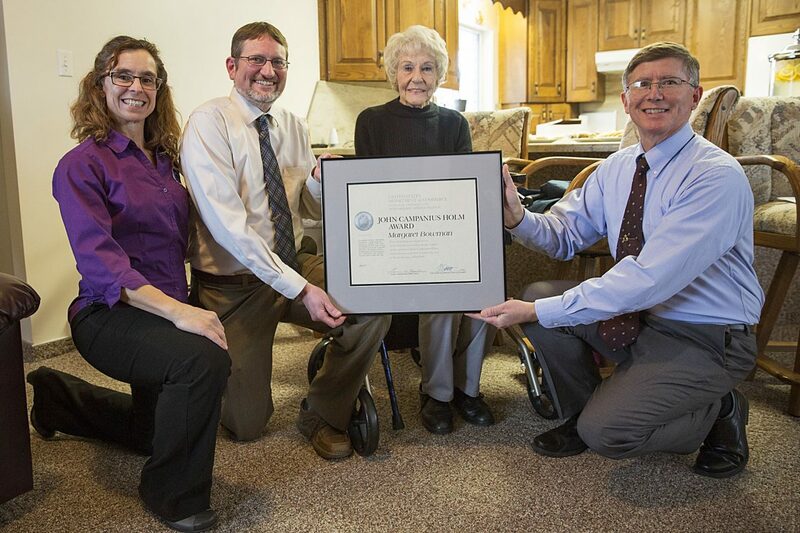 Bowman, 88, was awarded the John Campanius Holm Award on Feb. 2 in front of her friends and family at her home. The award is one of the agency’s most prestigious recognitions, with only 25 given out each year among nearly 10,000 volunteers nationwide. The National Weather Service’s Cooperative Observer Program requires volunteers across the county to record daily maximum and minimum temperatures, precipitation, snowfall and snow depth. The award is named after John Campanius Holm, who was a Lutheran minister and the first person known to have taken systematic weather observations for the American colonies, according to a press release. The Coalville Observer Network station was established in 1974 to provide data for forecasting operations for the National Weather Service and the River Forecast Center in Salt Lake City. Randy Graham, meteorologist in charge, said daily observations, such as Bowmans, are critical for maintaining a climate record in Coalville. Graham said volunteers provide information about areas that are somewhat remote and inaccessible. He said it would cost a significant amount of money to place equipment in those areas. 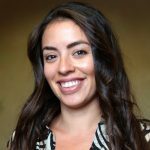 Bowman officially opted out of the volunteer program last year when a leg injury made it difficult for her to get around her yard to take the measurements. She said she misses the daily chore, but she won’t miss trudging through the snow when temperatures are below freezing.